I find it funny the questions we get asked abut living here in Mexico. Elizabeth’s Dad has asked us if we see US news stories, or if we can watch US TV. Of course we can! We’re in Mexico, not on Mars! We have the internet. But there is some truth to the question, as there is some content that is blocked, such as some streaming TV and movies. This is referred to as geo-blocking (or geoblocking). Geoblocking is where access to internet content is restricted based upon the user’s geographical location. Even though we’re in Mexico, we still have our Amazon Prime (including Amazon Prime Video) subscription, and we also have a Netflix subscription. And we recently wanted to access some Showtime series, so we pay for a Showtime subscription. But, depending on the particular content that we want (movie, TV show, music) – it might be geo-blocked. So this is where a VPN can come in handy – as a way to access this content by working around geo-blocks. VPN is an abbreviation for Virtual Private Network. In short, a VPN secures your internet connection so that the data you’re sending and receiving is encrypted and safe from prying eyes. Rather then your computer connecting directly to a website, the traffic is first routed through a VPN server. This will hide where your computer actually is located. 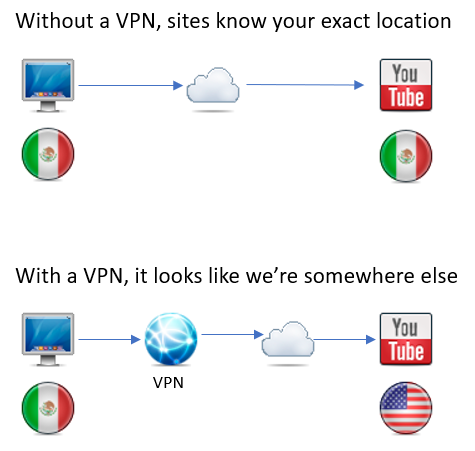 For example, my laptop is in Mexico, and when I browse to youtube or showtime, those sites can see that I’m in Mexico. But, when I connect through my VPN, those sites think I’m in the US. And streaming sites (such as Netflix, HBO, Hulu, etc.) change which content they allow you to see depending on your location. 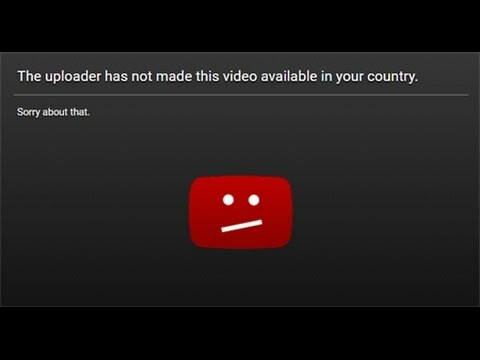 And some (such as Showtime) don’t allow you to view anything at all if you’re not in the US. If you use an untrusted network (meaning a network that you don’t own, manage, or trust who manages) – then you should definitely be using a VPN. If you’re using the free wifi from the coffee shop, in the airport, or in the town square – you should be using a VPN. Without a VPN, your data can be sniffed and stolen. As I mentioned earlier, using a VPN can allow you to access streaming content (music, movies, TV) while you’re traveling, and especially when traveling outside the US. I’m not familiar with the ISP and privacy protections here in Mexico. It’s hard enough understanding them all in the US. But I do know that the ISPs generally want to know and collect as much information as possible. So a good VPN will help protect your data and activities from your ISP. I think this is extra important here in Mexico. Server locations – Ideally, your VPN provider should have servers located around the world. If you’re concerned about accessing streaming content in your home country, then they should have servers in your home country. Connectivity Protocols – you’ll see terms like SSL, TLS, IPSec/L2TP, PPTP and SOCKS5. Unless you’re super nerdy, likely the secure protocol you want is included. SSL is the most common. Logging – Some VPN providers keep logs on your connections, your browsing and streaming history, and more. Ideally, your VPN provider should not log anything. Speed – When you’re connecting through a VPN, you’re adding another step that your data needs to travel through along the way. This means that using a VPN will always be slower. With a good provider, the amount of slowdown should be negligible and not noticed at all. So be sure your provider has the bandwidth capacity and speeds needed. Support – Proper technical and customer support is super important to me. A good provider will provider 24x7x365 support. Price – as with everything, price is always a consideration. Most of the good VPN providers today have similar prices. Yes, there are free VPNs, but remember the old saying – you get what you pay for. Free VPNs need to make money somehow. They will typically log your activities, and will serve up ads. They may also sell your activity data and usage. They also tend to lack proper customer support. If you want to get super nerdy, check out the Detailed VPN Comparison Chart from That One Privacy Site. He’s put together a super detailed breakdown of almost 200 different VPN providers. He doesn’t offer any recommendations, only details and comparisons – so you can make your own choice. Full disclosure – I do receive a small commissions if you purchase PIA through one of the links on this page. They have server locations around the world, including in the US. They actually have servers in 28 countries. PIA absolutely does not keep any logs, of any kind, period.We can unequivocally state that our company has not and still does not maintain metadata logs regarding when a subscriber accesses the VPN service, how long a subscriber’s use was, and what IP address a subscriber originated from. Moreover, the encryption system does not allow us to view and thus log what IP addresses a subscriber is visiting or has visited. Speed – they have a boatload of servers, and fast Gigabit port speeds. My downloads are slower when connected to the VPN, but not enough that it’s noticeable. Support – 24x7x365 support, online forums, and tons of self-help resources. Price – On a yearly plan, it’s only $3.33 USD per month – and it’s under $3/month if you do a 2-year plan. I find that a very reasonable price to pay. They also have a monthly plan. You can also pay using Bitcoin or Ripple, if you want to be stealth with your transaction. Multi-Device Support – I’ve installed PIA on my Macbook, my Windows laptop, my iPhone, and my iPad – and they’ve all worked flawlessly. I’ve been using PIA for the past year or so, and I’ve been completely happy with the service. I use it when connecting on public/free networks, and at home to access streaming content, such as Showtime, Amazon Prime Video, and when using Kodi. While I’m at home, if I don’t specifically need it (such as to access geo-blocked content), then I turn it off, as I rather not incur any bandwidth slowdowns at all if I can help it. What about my Smart TV? Many people access their streaming content through apps on their Smart TVs. 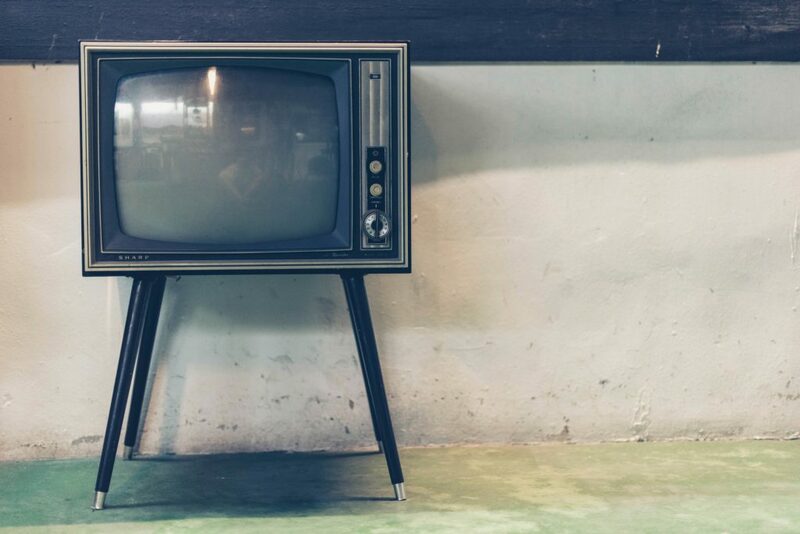 So how can you use a VPN with your Smart TV? I haven’t needed to do this myself, but what I’ve learned is that you cannot setup a VPN directly onto a Smart TV. But, there are a couple of options. You can setup the VPN on your Windows or Mac computer, and then share the WiFi connection. As I said, I haven’t had to go down this route yet myself, but I may play with these options in the future, and if I do, I’ll post my findings. So if you’re concerned about privacy (which you should be), or just want to access your favorite content regardless of your physical location, a VPN is a good choice – regardless if you use PIA or another vendor. Note: the Private Internet Access links in this post are my affiliate link, so should you sign up using my link, I do get a small kickback. I think it’s enough to buy a beer. Or maybe two beers down here in Mexico! So if you do sign up, please use my link, which will help keep me well inebriated! Muchas gracias! Thanks for the info Gary. I am trying Nord VPN right now but not sure I will stick with it. I don’t think that I saw PIA in my comparisons so I will read up on it. Nord was one of the ones that I saw mentioned a lot, especially on Reddit. I forget now why I chose PIA over Nord – but if I recall, they’re both good choices. Thanks Gary. Any info on using a VPN with Apple TV? We currently use the apps on Apple TV but likewise, many of them will not work in Mexico. I suppose I could use a VPN on my Mac, then stream to the TV using Airplay, but using a VPN directly on Apple TV would be the best case scenario. I’d be interested in hearing if one of these works for you. We will be renting a place with no cable, but does have a tv. if we hook our apple tv into the tv, and have a vpn on our iPad, will we still be able to view through the screen share option? Hi Leslie – I would think that would work just fine. Since your iPad is connecting through VPN, and the Apple TV is simply acting as the transmission layer to get the signal from the iPad to the TV – I think that would all work. https://www.overplay.net/ is a bit more pricey. But is by far one of the best VPNs available. Simply add your IP address, which is given to you when registering. To devices such as apple tv, Xbox, PS4, Smart TV and so on. You can then set different locations for different sites via the account settings e.g. BBC set up to show you are in the UK, ABC for the US etc. I read a review of PIA that was negative due to the inability to stream Amazon Prime and Netflix. Is that still the case? I’ve had success with using PIA and Amazon Prime Video. I don’t use a VPN with Netflix, so I don’t have any specific knowledge there. Sorry. We do watch Netflix regularly though, and I haven’t run into anything yet that we’ve wanted to watch that we couldn’t. can a VPN connection make it possible to watch PBS/BBC broadcasts in Mexico from the USA? I dont think that last question was clear. 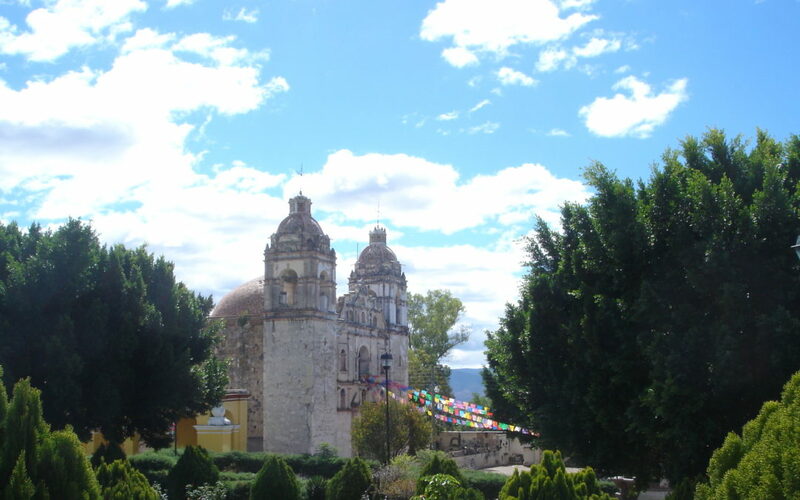 If I move to Mexico from the USA and still want to watch programs broadcast on PBS, which does not broadcast to Mexico, will a VPN make it possible? (Programs such as the Newshour and Masterpiece, and others such as BBC News as well). If you can stream those stations online, then it might be possible. It depends on the specific VPN and the specific station. Others either don’t care, or don’t try as hard. For example, Amazon is pretty sophisticated in figuring out that you’re using a VPN, and they prevent you from watching some of their videos. Others, like Show Time, seem easier to access. If you have some specific streams you want to watch, you might need to experiment a bit (such as test-driving different VPNs and/or different streams) to see if you can access your favorite programs.